In a webcast address yesterday, Chief Judge Jonathan Lippman told the state's judges that while the pay raises recommended by a special commission are not what he had hoped for or what he believes would be fair, "the nightmare is over" and jurists should never again endure a lengthy period without a raise. "While we cannot change the fact that by any standard we have not been treated fairly or respectfully over the last dozen years…the miserable situation that we have endured for so long will shortly be a thing of the past," Judge Lippman said. The webcast was an attempt to add context to Friday's vote of the Special Commission on Judicial Compensation. The panel voted 4-3 to endorse a proposal to boost salaries of state-paid Supreme Court justices to $160,000 from $136,700 next April and then to $167,000 on April 1, 2013, and $174,000 as of April 1, 2014. Other judges would receive the same 27 percent pay raise over three years. Unless the state Legislature passes a bill to undo the action and Governor Andrew M. Cuomo signs it, the raises will take effect by force of law. For many judges, however, it is too little and too late, and several have complained bitterly that the raises will not even restore their cost of living. 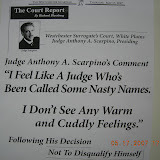 Judge Lippman told the judges yesterday that he understands and shares that sentiment. "We are all understandably disappointed that our judiciary was not made whole, not even close, for the long, torturous 12 year ordeal that we have experienced," the chief judge told his colleagues. But Judge Lippman said "judicial salaries will no longer be out of whack with judicial compensation around the country" and that with the first raise, New York's judges will be paid more than judges in 42 states. He said that with the commission recommendations the salaries of New York's judges will "be almost on par with our colleagues in neighboring northeastern high-cost-of-living states, New Jersey and Pennsylvania, higher than our colleagues in neighboring Connecticut and significantly higher than judges in Massachusetts." The chief judge suggested that as important, or perhaps even more important, than the phased-in raises is the fact that there now exists a process requiring the political branches to evaluate judicial salaries on a regular basis. Under that process, a special commission, comprised of appointees of the chief judge, governor and legislative leaders, is created every four years to "examine, evaluate and make recommendations" on judicial salaries for the next four years. The first commission, chaired by former New York City Comptroller William C. Thompson Jr., expired with the submission of its final report on Monday. The report evinced deep divisions among commission members on the size of the raise, but significantly the debate was solely over the amount and not whether judges should get raises at all. No one suggested that judges did not deserve a raise, or that the raise should result in anything less than parity with federal judges. The four-member majority, led by Mr. Thompson, concluded that Supreme Court justices in New York should have pay parity within three years, for a total increase of 27.3 percent by April 1, 2014. But the three dissenters, Robert B. Fiske Jr. and Kathryn S. Wylde, who were appointees of the chief judge, and Mark S. Mulholland, an appointee of Senate Majority Leader Dean Skelos, R-Rockville Centre, said in separate statements that the commission proposal does not go far enough. Mr. Fiske, a senior counsel at Davis Polk & Wardwell and former Southern District U.S. attorney, said that to simply restore the purchasing power judges had in 1999, the last time they received a raise, would require a salary of $195,754. He said the state has saved about $515 million by not giving judges a raise in 12 years, and it would cost about $75 million to restore their purchasing power. Mr. Mulholland, managing partner at Ruskin Moscou Faltischek, chastised his colleagues for failing to "seize the moment" and said they should have at least provided the judges with the equivalent of a 12-year cost-of-living adjustment, bringing their salaries to $192,000. "Our mission was to end the neglect—not perpetuate it," Mr. Mulholland said in dissent. And Ms. Wylde, president of the Partnership for New York City, a non-profit business advocacy group, would bring New York judges to immediate parity with their federal counterparts rather than phasing the increase over three years. "For 12 years, judicial salaries were held hostage to tangential considerations, exposing judicial leadership to public humiliation and diminishing their status," she wrote. Judge Lippman stressed in his webcast that the hostage days—in the past, legislators would link judicial pay to their own—are over. "While many of us may find the salary package unfair and inadequate in the context of the long wage freeze we have suffered, the plain fact of the matter is: without the salary commission in place, whether or not we like the final number or the phase-in, there would without question be no salary increase for many years to come," he said. Justice John M. Leventhal of the Appellate Division, Second Department, said the chief judge clearly articulated his disappointment with the amount of the raise, while beseeching his colleagues to recognize the progress that it represents and move forward. "He knows we deserved more and put the best face on it he could," Justice Leventhal said. "We are all appreciative of what he did and we know if it was within his power we would have gotten what we deserved and never would have been put in this position in the first place. He is one of us and he has our back and I'm sure no one is more disappointed than he." Manhattan Supreme Court Justice Sherry Klein Heitler said the chief judge "told it exactly the way it is" and "covered all the bases." "It certainly was not an easy speech to give, but it is important that he reached out to the judiciary," she said. "It is important when you are a leader to reach out to the people you are leading." John Caher can be contacted at jcaher@alm.com. 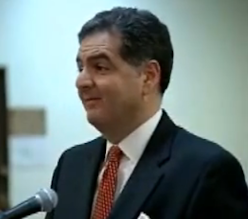 Queens District Attorney Richard A. Brown, criticizing a trial judge for accepting "a fraud perpetrated" on the court, has ruled out retrying a Far Rockaway man who was convicted of murder 15 years ago, calling the case "unprosecutable." "Sadly," Mr. Brown said in a statement yesterday, Acting Supreme Court Justice Joel L. Blumenfeld had "embraced the fraud" when he set aside the conviction of Kareem Bellamy in 2008 after the judge found that the cumulative effect of newly discovered evidence would have likely led a jury to reach a different verdict. 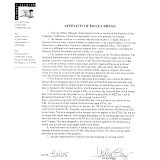 Mr. Brown's decision brings to a close a six-year legal battle in which the Queens District Attorney's Office and Mr. Bellamy's pro bono legal team, which included eight lawyers from Cravath, Swaine & Moore, accused each other of using false evidence (NYLJ, June 27). The case against Mr. Bellamy will be over when he next appears in court. His next scheduled date is Sept. 27. 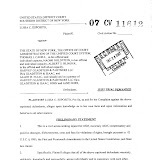 Twice during the course of the litigation, Mr. Brown issued press statements claiming that Justice Blumenfeld had allowed "duplicity" to be used "to unjustly unlock a jail cell door." 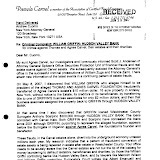 In court papers, prosecutors accused the lead lawyer from Cravath, partner Darin P. McAtee, of having "grave doubts" about some of the evidence advanced on Mr. Bellamy's behalf. The Cravath team fired back in its papers that prosecutors had presented an affidavit "riddled with falsehoods." Justice Blumenfeld, through his law clerk, declined to comment. Robin Shanzer, a spokeswoman for Cravath, also declined to comment. "We are pleased that Mr. Bellamy's 17-year ordeal is over," said Thomas Hoffman, the Manhattan solo practitioner who recruited Cravath to the case. 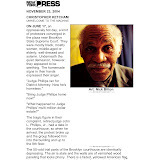 Mr. Bellamy spent 14 years in prison before Justice Blumenfeld vacated his conviction for a 1994 murder on the strength of another man's purported confession. Mr. Bellamy has been out of prison since 2008, when he posted the $150,000 bail that the judge set in the wake of his ruling. That ruling, and subsequent decision after a rehearing, were affirmed by the Appellate Division, Second Department, in May (People v. Bellamy, 84 AD3d 1260). Earlier this month Judge Carmen Beauchamp Ciparick of the Court of Appeals denied the district attorney's request for leave for review by the high court. Mr. Brown insisted in his statement that Mr. Bellamy had not been exonerated. "Appellate review of the post conviction hearing court's decision, based largely on credibility, was very limited," he said. "We believe those limitations constrained the Court of Appeals decision not to grant leave and the Appellate Division's decision in upholding the post-conviction hearing court. We accept the decisions of the Court of Appeals and Appellate Division." 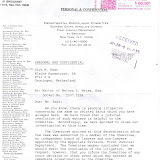 Justice Blumenfeld based his 2008 ruling on a purported confession by the real killer that a resident of the Edgemere housing projects in Far Rockaway, Michael Green, taped and relayed to the defense team. Shorty after the ruling was issued, the man who allegedly made the confession came forward and denied making it. After prosecutors confronted Mr. Green, he admitted that the tape was bogus and recanted his testimony about the confession. However, after conducting a six-day rehearing, Justice Blumenfeld adhered to his original ruling, finding that the confession as related by Mr. Green bore significant parallels to information related to the police by a witness at the time of the murder. Most significantly, he wrote in a decision issued on Jan. 14, 2010, the earlier witness identified the same killer and accomplice as had Mr. Green. 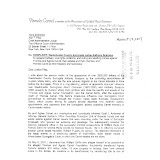 The Second Department panel agreed that "a reasonable jury could find, as the Supreme Court did here, that the informant's original unsolicited implication of [the claimed killer] was truthful, regardless of the later recantation of those statements." Moreover, the unanimous panel added, "the fact that the informant implicated…the same people as were implicated in a police report contemporaneous to the homicide, could raise a reasonable doubt in the jurors' minds, especially given the less than overwhelming evidence against the defendant at trial." Daniel Wise can be contacted at dwise@alm.com. Jennifer Troiano, who was busted for DWI on Aug. 26, wriggled out of previous arrests in 2004 and 2006, court records show. A state commission decided on Friday to increase the pay of the more than 1,200 New York State judges by 27 percent over three years, ending a decade of battles in Albany and the courts, and giving judges their first raise in 12 years. The seven-member commission, appointed by the leaders of all three branches of government, had been expected to grant a raise. Still, the amount it settled on was considered very modest — and some judges even expressed bitter disappointment. The commission voted 4 to 3 to approve the increase, with its members sharply divided in a brief meeting in Lower Manhattan that included accusations of political grandstanding. The dissenters said the raises were too small. Over years of legislative and legal struggles on the judicial-pay issue, New York’s judges, once among the best paid nationally, slipped to being among the lowest paid. The increase was small compared with some proposed ones that had called for judicial raises across the court system of as much as 60 percent. The commission was created under a bill passed last year to try to resolve one of the most contentious and long-stalled issues in state government. “This is a start at correcting the injustice that has been done to New York State’s judiciary over more than a decade of neglect,” said the commission’s chairman, William C. Thompson Jr., the former New York City comptroller. But Mr. Thompson and other members of the commission also said that the fragile state economy required restraint. Under the commission’s decision, the highest level of trial judges in the state, the justices of the State Supreme Court, would receive an increase to $174,000 from the current $136,700, phased in over three years. That would match the salary of United States District Court judges. The raises for all the judges would cost the state about $50 million a year when they are fully implemented. The creation of the commission was an effort to minimize political fallout from what was likely to be an unpopular decision in a time of budget cutbacks. The three commission members appointed by Gov. Andrew M. Cuomo were joined in voting for the proposal by the appointee of the Assembly speaker, Sheldon Silver, who, like the governor, is a Democrat. The two appointees of the state’s chief judge, Jonathan Lippman, opposed it as inadequate, as did the appointee of the leader of the State Senate, Dean G. Skelos, a Republican. The Cuomo administration had expressed concern about a large judicial pay raise, so it was not unexpected that the governor’s appointees would limit the increase. The raises will go into effect next spring unless they are overruled or modified by legislation passed by both houses of the Legislature and signed by the governor. Mr. Thompson said he hoped the size of the increase would dissuade the Legislature and the governor from seeking to overturn the decision, which he said would be “disastrous” for the judiciary. ALBANY, NY — A state panel on Friday recommended phasing in a 27 percent pay hike for state judges over the next three years, which would give jurists their first salary increase in more than 12 years. Under the state Special Commission on Judicial Pay’s plan, which will formally be released Monday, state Supreme Court judges would have their annual pay bumped up to $160,000 in April 2012, with $7,000 raises to follow in each of the following two years. That salary would put them in line in 2014 with federal district court judges, who make $174,000 annually. State Supreme Court judges currently earn $136,700. Other judges in the state courts system, such as county court judges, whose salaries range from $119,800 to $136,700, would see their salaries rise by the same percentage over the three years. The commission approved the proposal by a 4-3 vote in a meeting in New York City. The recommendations will be law unless the state Legislature and governor decide to overturn the raises before April 1, when the new salaries would take effect. “I think the message we’re trying to send is yes, we care about our state’s judiciary, but there’s a larger world,” said Bill Thompson, former New York City comptroller and chairman of the commission. “It’s a difficult balance where we’re at right now.” The commission was created last year to take on the contentious issue of judicial pay and issue an appropriate raise for the roughly 1,300 state judges. With appointees from all three branches of government, the panel began its discussions last April. State judges, who hadn’t seen a raise since 1999, had long called for a raise, saying that New York’s pay rate pales in comparison to the federal government or other states, and it was making it difficult to recruit lawyers to the bench. Robert Megna, Gov. Andrew Cuomo’s budget director, had urged the commission to use caution, saying that issuing a raise of 40 percent or more — as some judicial groups had been calling for — could throw the state’s precarious finances “out of whack.” On Friday, Megna said the Cuomo administration was reviewing the pay hike and had no immediate comment. Chief Judge Jonathan Lippman called the pay raise a “glass half-empty/half-full situation.” “I’m pleased that even in these terrible economic times judges are getting raises that they so richly deserve, and I’m pleased that on April 1, New York state judges’ salaries will at least have some rational relationship to other states, to federal judges, to the private sector,” Lippman said. “But at the same time, I’m disappointed that after close to 13 years without even a cost-of-living adjustment that judges didn’t get an even more significant raise.” Lippman also said he would have rather seen the full 27 percent raise implemented immediately, rather than annual raises spread out through April 2013. The raises come as other state employees are being asked to freeze their salaries as New York grapples with its own budget woes. The Civil Service Employees Association this month agreed to a five-year contract that includes no pay raises for the first three years. The courts also this year laid off about 370 employees as its cut its own budget by 6 percent. The raises were “upsetting,” said Ellen Chorba, whose husband, Glen Chorba, was laid off after 24 years as a Rockland County court officer. She has launched a campaign to have her husband reinstated, saying if the state can spend millions on judicial raises, they should be able to hire back workers who lost their jobs. “It has a devastating impact for those of us who are watching our salaries go to raises,” she said. “What’s never taken into consideration is what’s fair for the people who don’t have a salary now.” The New York State Bar Association, however, said the raises wouldn’t be enough to attract top talent. “Judicial pay scales should not be so inadequate that they encourage top judges to resign or deter highly qualified attorneys from seeking judgeships,” Bar Association President Vincent Doyle said. Previously, the state Legislature had to approve of raises for the judiciary, and lawmakers’ raises had been tied to raises for judges. The panel separated that link; lawmakers haven’t had a raise since 1999, either. Under the law, a new commission will be appointed every four years to consider judicial pay, though the Legislature could still block any raises. Assembly Speaker Sheldon Silver, D-Manhattan, said in a statement the commission acted as it was intended and made an independent decision. But the statement didn’t indicate whether the Assembly would support the raises. “An independent commission was created to take the decision away from the Legislature and away from political finger-pointing,” Silver said in a statement. There was no immediate reaction from the Republican-led Senate. The seven commission members were split Friday on the formal proposal, with three — Mark Mulholland, Robert Fiske, and Kathryn Wylde — voting against it. Mulholland said the raises didn’t go far enough, while Wylde said the raises were reasonable, but that she was concerned it didn’t send the right message to judges. Fiske said he didn’t support the phased-in approach. Lippman appointed both Fiske and Wylde, while Senate Majority Leader Dean Skelos, R-Nassau County, appointed Mulholland. A special pay commission voted 4-3 on Friday to gradually over the next three years raise the $136,700 salary of State Supreme Court justices to $174,000. The raise was considerably less than the immediate increase of $192,000 to $220,000 that had been supported by court administrators, judges, bar groups and others, who expressed disappointment. Chief Judge Jonathan Lippman, while acknowledging that some judges will be unhappy, said that the judges still are in line for "significant" pay boosts. A special pay commission voted 4-3 on Friday to gradually raise the $136,700 salary of state Supreme Court justices to the $174,000 now earned by federal district judges. 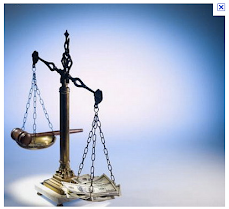 The state justices would earn $160,000 as of April 1, 2012; $167,000 as of April 1, 2013; and $174,000 as of April 1, 2014. Pay for other judges would be raised by the same percentages as Supreme Court justices, or by 17 percent in the first year and 27 percent for the entire three years. The raise was considerably less than the substantial and immediate increase of between $192,000 to $220,000 that had been supported by court administrators, judges, bar groups and others. Under the proposal, there would be no raise at all in 2015. Judges and bar groups expressed disappointment at the size of the proposed raises, the first since Jan. 1, 1999, for the state's 1,200 judges. "I think we got stiffed," said Albany County Family Court Judge W. Dennis Duggan, who lobbied for a salary of $192,500 for Supreme Court justices and comparable increases for other judges on behalf of 12 judicial associations. "It is a terribly disappointing outcome for judges, a complete defeat," he said. "This puts our salary at a cost-of-living adjusted level at around 2006. I understand that these are terrible times, but they found money to give raises to everyone else for the past 13 years. It is just a sad day for judges." Chief Judge Jonathan Lippman, who pushed hard for the establishment of the commission last year, acknowledged that some judges will be unhappy at the panel's action. But he said that the judges still are in line for "significant" pay boosts. He also stressed that a mechanism has been established to pave the way for future raises without depending on the Legislature and the governor. "I think this is, for the next four years, what it is," Judge Lippman said in an interview Friday. "We have broken this horrible, horrendous string of no-raises." By law, the raises recommended Friday will go into effect automatically unless the Legislature and the governor specifically act to block them. Former New York City Comptroller William C. Thompson Jr., chairman of the commission, said at Friday's meeting that the panel's majority would have preferred to give more money to the judges. But given the state's grim economic reality, he said that the commission could not endorse raises so large as to encourage the Legislature and the governor to repudiate its work. "I think the members of this commission understand that we might not be…the final word on judicial raises," Mr. Thompson said. "Our decision will be reviewed by the Legislature and the governor and if it's felt that it is too out of line with the fiscal realities it could be overturned, and I think that would be disastrous to a Judiciary that has waited for over a decade for raises." He added that had the commission been formed four or five years ago, when the state government was in better condition, there would have been few objections to a $190,000 salary. The plan calls for no retroactive raises or automatic cost-of-living adjustments. Nor does it revise the relationship of the salaries of different kinds of judges. The final recommendation was put forward by Mr. Thompson on Friday, after he said he had talked to other commission members. Mr. Thompson and Mr. Cuomo's two other appointees to the commission, William Mulrow, an investment adviser with Blackstone, and Richard Cotton, general counsel of NBC-Universal, all voted for the recommendation. Assembly Speaker Sheldon Silver's appointee, health care executive and former Assembly Democratic majority leader James Tallon, also voted for the recommendation. 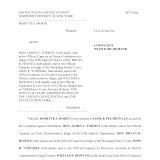 Judge Lippman's two selections, Robert Fiske Jr. of Davis, Polk & Wardwell, and Kathryn Wylde, president of the Partnership for New York City, voted against the recommendation as did Mark S. Mulholland of Ruskin Moscou Faltischek in Uniondale, the pick of Senate Republican Majority Leader Dean Skelos. Mr. Fiske said Supreme Court justices should get immediate raises to at least $195,000 a year. He estimated that Supreme Court justices have each lost $330,000 from not receiving raises that kept pace with inflation, which has run at about 42 percent since 1999. At the same time, he said that the state has saved $550 million. Ms. Wylde said she did not find the numbers proposed by Mr. Thompson to be unreasonable given the state of the economy. But she worried they were inadequate to show how valued judges are to the state and the legal system. "This is also about the symbolism to a Judiciary that…has felt demeaned, has felt disrespected and I think are looking from this commission…that they are getting some recognition of their status, the status of their role, the kind of thing that will continue to attract and keep good people," Ms. Wylde said. "It's not just the money, but the fact that they are a respected third branch of government." Mr. Mulholland, who proposed immediate pay increases to $192,000 a year, was rebuked by several panel members when he criticized Mr. Tallon for going along with the Cuomo appointees' pay-raise proposal rather than forming a united legislative front with the Senate. "I'm disappointed that the Assembly's legislative appointee does not sufficiently recognize the fundamental importance of this decision to the steady, stable functioning of New York's government," Mr. Mulholland said. "I'm disappointed that the Assembly's legislative appointee has not seen fit to close ranks with me, to stand arm-in-arm with me, the Senate majority's appointee, to show the Judiciary that the full Legislature has its back." Mr. Thompson replied that he considered the seven members of the commission to be independent appointees and not representatives of the Legislature, the governor or the chief judge. "I never looked at myself as the governor's appointee," he said. Mr. Cotton told Mr. Mulholland, "It is highly unfortunate to inject the scoring of political points in this discussion." For his part, Mr. Tallon said he was surprised at being accused of not supporting the Judiciary. "But as I said earlier, this is a politically volatile issue," said Mr. Tallon, a former state assemblyman from the Binghamton area. Mr. Silver said in a statement Friday that the political skirmishing prompted by Mr. Mulholland's comment was what the commission was designed to avoid. "An independent commission was created to take the decision away from the Legislature and away from political finger pointing," Mr. Silver said. 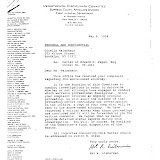 "I have not spoken to my appointee to the commission except during the initial process. Each commissioner made an independent determination reflecting their own personal judgment, not the judgment of the Senate, Assembly or governor." State Senator John Bonacic, R-Mount Hope and chairman of the Senate Judiciary Committee, said he was disappointed that a clear consensus was not reached by the commission. "The existence of the commission was only necessitated by the Assembly's failure to act [to raise judicial pay] when the Senate did in 2007," Mr. Bonacic said in a statement. "That said, the commission has made its decision, and a 4-3 vote, is still a majority." He did not say whether he would support the recommendation. The commission will go out of existence after transmitting its final report to the Legislature and the governor on Monday. A new commission will be appointed to recommend salary adjustments for the four state fiscal years starting April 1, 2016. Mr. Thompson said the third-year pay for Supreme Court justices would match the current salary levels for U.S. District Court judges, which Chief Judge John Roberts has been lobbying Congress to increase for years. Mr. Thompson said he would not object if the commission's final report contained a request that the Legislature and the governor should raise Supreme Court justices' pay to the level of U.S. District Court judges in the fourth year of the pay plan, if the federal judges get raises in the meantime. New York City Corporation Counsel Michael A. Cardozo said that the plan backed by the commission will take too long to restore an adequate salary for judges. "Waiting until 2014 to provide judges with an appropriate salary—which will by then be reduced by inflation—fails to recognize their critical role in society," Mr. Cardozo said in a statement. George Bundy Smith, a retired Court of Appeals judge now at Chadbourne & Parke, helped represent judges in a suit seeking to force the Legislature and governor to grant judges higher salaries. He said the lack of retroactivity in the recommendations means that judges will continue to be "short-changed." Mr. Smith said he considers that to be a "form of age discrimination" against judges who have been forced to step down since 1999 due to their age and who will not be compensated for wages they lost to the pay impasses in Albany. 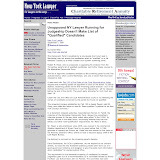 Vincent E. Doyle III, president of the New York State Bar Association, expressed concern over what he called the "relatively modest salary adjustment" recommended by the commission and the fact it will be phased in over three years. "Judges have waited long enough," Mr. Doyle, of Connors and Villardo in Buffalo, said in a statement. "We recognize the state's fiscal problems and that many New Yorkers have been forced to sacrifice. For judges, the sacrifice has been particularly long and onerous. Since 1999, in good economic times and bad, judges' salaries have not increased by even one cent." The New York City Bar and the New York County Lawyers' Association also issued statements criticizing the size of the recommended raise. 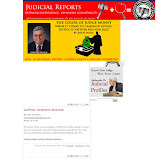 Milton Williams Jr., chair of the Fund for Modern Courts, stated that the organization appreciated that the compensation commission "has taken the first step, through a modest salary adjustment phased in over the next three years, to redress the grossly inadequate salaries of the judiciary in New York state. We continue to believe that judicial compensation, which has been frozen for the past dozen years, must be adjusted to at least take into account the significant cost of living increases during this time. We urge the next special commission to fully address this continuing inequity." Judge Lippman's own salary will increase from $156,000 a year to $182,500 in the first year under the salary recommendation and to $197,100 in the third year. He said that Mr. Thompson may been correct in his calculation that recommendations of the order sought by Messrs. Fiske and Mulholland may have caused a backlash from the Legislature and the governor. "Yes, it is possible to view it that if it were higher, there might have been a challenge," the chief judge said. Mr. Cuomo, whose office did not immediately respond to requests for comment Friday, is projecting budget gaps of more than $2 billion in each of the next two state fiscal years. Brooklyn Family Court Judge Daniel Turbow, head of the New York City Family Court Judges Association, said he was "very disappointed" with the result of the commission's work. At the least, he said he expected an immediate increase for judges to the $174,000 level for federal District Court judges. "Frankly, I'm shocked," said Judge Turbow, who attended Friday's commission meeting. The recommendations cover 1,200 state-paid judges; town and village court justices are not affected. Joel Stashenko can be contacted at jstashenko@alm.com. 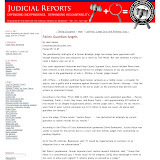 John Caher contributed to this report. Jan. 1, 1999: Judges receive their last raise: a 21 percent increase as part of a deal between the Legislature and Governor George E. Pataki that also includes salary boosts for legislators and state government agency heads. In return, the Legislature accedes to Mr. Pataki's demand that charter schools be established in the state. 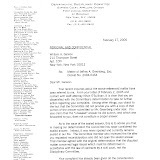 Feb. 25, 2004: Chief Judge Judith S. Kaye decries a system that forces judges to "beg and plead" for pay raises from their counterparts in co-equal branches of government and promises to submit legislation for automatic cost-of-living increases for judges. Dec. 3, 2004: The Judiciary, reflecting the growing concerns of judges, breaks with tradition and includes a proposed pay increase for judges in its 2005-06 budget. It repeats the move in subsequent years. March 30, 2007: On the verge of pay increase agreement in the 2007-08 budget, Governor Eliot Spitzer says he will withhold judges' raises until lawmakers accede to his demands for ethics reforms. Legislators did not, and the raise proposal dies. April 9, 2007: Judge Kaye suggests for the first time that she will sue the other branches of government if they do not give judges a raise. 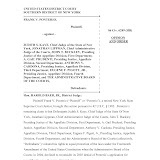 April 10, 2008: Judge Kaye files suit against the governor and Legislature in Manhattan Supreme Court to remedy the "intolerable situation" facing the Judiciary. Her action joins two other suits by individual judges. Feb. 23, 2010: The Court of Appeals rules in Maron v. Silver, 14 NY2d 230, that by not granting judges a raise, the Legislature has created a "crisis" violating the separation of powers doctrine. It does not impose a salary increase but orders the Legislature to consider the pay question separately from unrelated public policy issues. Nov. 30, 2010: The Legislature approves a bill creating a commission to meet every four years to recommend raises. The first recommendations are to go into effect on April 1, 2012, unless specifically countermanded by the Legislature. Dec. 10, 2010: Governor David A. Paterson signs legislation creating the pay commission and proclaims that "the judges of this state will get [the salaries] they deserve," which "is important to creating the highest standard of jurisprudence in this nation." 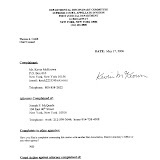 June 10, 2011: Governor Andrew M. Cuomo rounds out the composition of the seven-member commission with his appointment of three members, including Chairman William Thompson Jr., New York City's former comptroller. 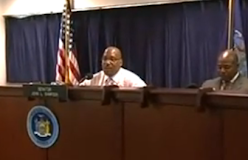 July 20, 2011: The pay commission holds its only public hearing, in Albany. The panel has received submissions from 46 organizations and individuals. 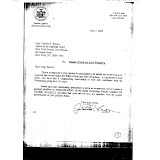 They are posted at www.judicialcompensation.ny.gov/submissions. Friday (August 26, 2011): The commission votes 4-3 to gradually raise the $136,700 salary of Supreme Court justices to the $174,000 now earned by federal district judges. The justices would earn $160,000 as of April 1, 2012; $167,000 as of April 1, 2013; and $174,000 as of April 1, 2014. The pay of other state judges would be increased proportionately. A special pay commission has voted, 4-3, to gradually raise the $136,700 salary of State Supreme Court justices to the $174,000 now earned by federal district judges. The justices would earn $160,000 as of April 1, $167,000 as of April 1, 2013 and $174,000 as of April 1, 2014. Other state judges' pay would also be raise proportionately. ALBANY, NY - For the first time in a decade, outside judges joined the Court of Appeals for an oral argument yesterday so that the Court could muster a majority in a dispute over the liability of the Port Authority of New York and New Jersey for the 1993 terrorist bombing of the World Trade Center. Both Justices A. Gail Prudenti, presiding justice of the Appellate Division, Second Department, and Thomas E. Mercure, acting presiding justice of the Third Department, asked numerous questions of the litigants' lawyers during the 50 minutes the Court allotted for discussion of Matter of World Trade Center Bombing Litigation Steering Committee v. The Port Authority of New York and New Jersey, 217. Judge Carmen Beauchamp Cirparick, who presided over yesterday afternoon's one-case session, introduced her colleagues for the case. "They've had a lovely summer reading our record," Judge Ciparick said. She later noted that both had watched a video of the first round of oral arguments the Court heard on June 1. 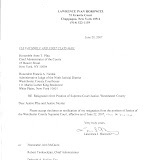 Both Chief Judge Jonathan Lippman and Judge Robert Smith had recused themselves. On June 23, Judge Ciparick, the senior judge of the five left on the case, had "vouched in" Justices Prudenti and Mercure to sit with the Court (NYLJ, June 24). It was the first time the Court had invited outside judges onto the bench since it enlisted then-First Department Justice Joseph P. Sullivan in January 2001 for Shaw v. State Commission on Judicial Conduct. At that time, the practice was not as uncommon as it has become over the past decade. On three other cases, in Schultz v. Harrison in April 1997, Manocherian v. Lenox in August 1994 and Jensen v. General Electric in September 1993, the Court vouched in two judges each time. By asking Justices Prudenti and Mercure to join them, the other judges signaled that there was no agreement among at least four of the five judges remaining in the case. To be valid, Court decisions require a minimum of four judges in the majority. The Court is permitted to reach out to any Supreme Court justice to sit on the bench. Judges Ciparick, Victoria A. Graffeo, Susan Phillips Read, Eugene F. Pigott Jr. and Theodore T. Jones Jr. sat with Justices Prudenti and Mercure yesterday. They heard now-familiar arguments in the case centering on the extent of liability for the 1993 bombing, in which terrorists drove a bomb-laden rental truck into a parking garage beneath the World Trade Center towers and detonated the explosives. Six people died and nearly 1,000 were injured. More than 600 plaintiffs later filed 174 negligence actions against the Port Authority, which owned the Trade Center complex in 1993. A Manhattan Supreme Court jury ascribed 68 percent of the fault for the bombing to the Port Authority for alleged security lapses and 32 percent to the terrorists. The Port Authority has contended that it is illogical to assign more blame to the agency than to the terrorists. Yesterday, attorney Richard A. Rothman argued on behalf of the Port Authority that both statutes and court precedents recognize immunity from liability from an intentional act of terrorism. "Didn't your own witness…say that the most effective measure to take to reduce the threat of a bombing was in the public parking garage and isn't that a duty that may have been owed to your tenants?" Justice Prudenti asked. "The answer is no," Mr. Rothman replied. "The decision as to what to do in the garage was a decision that was made based on many meetings at the highest levels of the Port Authority in conjunction with law enforcement agencies. It is difficult to conceive of a more discretionary decision designed to protect the public. That is not something that would permit liability to assess." Mr. Rothman continued that courts have recognized that the more complex the security issues that government agencies face, the stronger their immunity protections become. "The reason is, we don't want courts and juries second-guessing exactly the kinds of discretionary decisions that were made here," Mr. Rothman, of Weil, Gotshal & Manges, argued. "It will skew the allocation of resources, it will skew the decision-making process. …In the end, we will all be less safe, not more safe, if we permit this kind of second-guessing to go on." 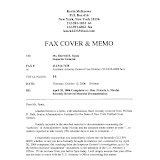 Victor Kovner, who is representing injured plaintiff Antonio Ruiz and the investment house Cantor Fitzgerald, countered that the Port Authority ran the Trade Center, including its underground parking lots, in the same fashion as any commercial proprietor. As such, it owed the same duty to protect the safety of people using the complex as would any private landlord, he said. 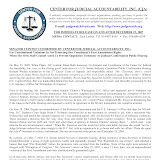 Mr. Kovner, of Davis Wright Tremaine, contended that the Port Authority's negligence lies chiefly in allegedly ignoring eight years of reports leading up to 1993 that identified the underground parking areas as a major security weakness. "Isn't the question not just the choice that was made, but whether informed, reasoned discretion was exercised?" Justice Mercure asked. "In other words, they could make a determination, exercising their discretion based on all the reports not to close the parking garage?" 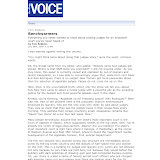 Mr. Kovner responded, "The discretion only arises if it's a governmental decision. But the first question and the issue in this case is [whether] the action or omission [is] proprietary or governmental. If it's proprietary, it is the same standard as the private landlord." Brian J. Shoot of Sullivan Papain Block McGrath & Cannavo argued on behalf of the World Trade Center Litigation Steering Committee. 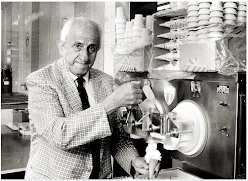 Both Mr. Rothman and Mr. Kovner agreed after the arguments that Justices Prudenti and Mercure were "well prepared." 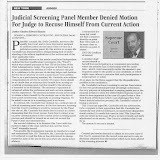 Judges do not explain why they recuse themselves. 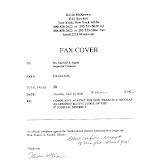 But Judge Lippman's conflict was obvious because he wrote the First Department ruling, which upheld the jury's finding of liability against the Port Authority (NYLJ, April 30, 2008). Judge Smith has not disclosed his reason for not participating in the case. Joel Stashenko can be contacted at jstashenko@alm.com. New York state judges haven't had a pay raise in 12 years — and now many of those judges are leaving the bench for lucrative law firm jobs. But some question whether the public would really benefit from paying judges more. A state commission plans to issue recommendations in August. MELISSA BLOCK, host: And I'm Melissa Block. New York is debating how much judges should get paid. State judges haven't received a raise in 12 years. And while it's rare for judges to voluntarily leave the bench early, in New York, more and more of them are resigning and taking lucrative jobs at private law firms. NPR's Joel Rose has the story. JOEL ROSE: Judicial compensation in New York tops out around $150,000 a year. That's a lot of money but the lawyers who appear before those judges can earn 10 times as much, a fact that's not lost on the judges. JAMES MCGUIRE: You're certainly aware they're being paid a lot more than you and you're also aware that lawyers right out of law school are getting paid more than judges in New York City are getting paid. ROSE: James McGuire spent six years on the bench as an appeals court judge in New York City. He liked the work, the complexity of the cases, the chance to write legal opinions, but he says the money was a problem. McGuire and his wife live in Manhattan and they have two young kids who are just starting school. MCGUIRE: I just couldn't see that I would be able to provide for them financially if I stayed on the bench. Each year that we didn't get a raise, I had to continue to dip into savings and deplete those savings. ROSE: So, in June, McGuire started a new job as a partner at a big New York firm. A recent study found that almost one in 10 New York judges leaves the bench every year. Back in the 1970s, New York ranked near the top among states when it came to judicial salaries; today, it's near the bottom. 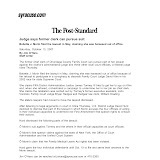 Ann Pfau is chief administrative judge of New York State Courts. ANN PFAU: No other state in the country has refused to adjust judicial salaries since 1999. In terms of adjusted compensation, New York is now dead last in the country in what it pays its judges. ROSE: Pfau was testifying in Albany last month before a special commission that's deciding whether and how to end the judicial pay freeze. The commission heard variations on that theme from judge after judge, but it also heard this warning from state budget director Robert Megna. ROBERT MEGNA: We're still in a very weak fiscal condition in the state of New York. And given that we already have close to a two-and-a-half billion dollar deficit, we would have to think where we would cut back more to make room for that additional spending. ROSE: This year's tight budget has already forced New York courts to cut hours and lay off hundreds of workers. And there are those who question whether judges are really as underpaid as they claim. ERIC POSNER: You can't pay them nothing. But I think a simple comparison of what they get paid and what practicing lawyers get paid can be misleading. ROSE: Eric Posner teaches law at the University of Chicago. A few years ago he published a paper called "Are Judges Overpaid?" Posner says the job comes with perks that aren't purely financial, like power, respect and reasonable hours. POSNER: What we found was that there's no real relationship between how much judges are paid in different states of the country and the quality of their work. So, when judges complain that they're not paid enough, you know, it's not clear that if they were paid more they would do a better job. 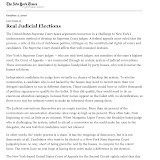 ROSE: But judges in New York insist there is a connection between their salaries and the health of the justice system. John Leventhal is an appellate court judge who also testified in that Albany hearing. He says it's a matter of attracting top people to the bench and then keeping them there. JOHN LEVENTHAL: Do we really want a judiciary made up of only of those who are too rich to care about just, fair and equitable compensation and those who are not able to make a living practicing law? Of course, we can replace judges but we cannot substitute the years of judicial experience. ROSE: Leventhal told the commission that even more experienced judges are likely to leave the bench unless the state finally delivers the raise they've been waiting for. Joel Rose, NPR News, New York. RAMAPO, NY — Longtime Sloatsburg Justice Thomas J. Newman Jr. will lose his driver's license for a year after refusing to take a sobriety test when charged with drunken driving. Newman, however, can continue to sit on the bench and in judgment of other drivers accused of driving while intoxicated, authorities said Wednesday. Even if Newman is convicted of misdemeanor DWI or a lesser charge, he will not lose his judgeship. That can occur only with a felony conviction. Newman, 56, an elected Sloatsburg judge since 1992 and an acting judge since 1980, was charged with driving while intoxicated at 7:30 p.m. Tuesday, Ramapo police said. After getting off the New York State Thruway at the Sloatsburg-Hillburn Exit 15A, Newman drove his 2006 Toyota into the rear of a 2010 Toyota on Route 17 south, police said. No one was injured, but police were called to the scene. After investigating and talking to Newman and the other driver, Oscar E. Padilla, 60, of Sloatsburg, and his wife, Newman was charged. He refused to take a field breath test, a traffic infraction and automatic license suspension. He also received a traffic summons alleging following too close. Newman was released without bail for a Ramapo Town Court hearing Aug. 25. He voluntarily went to Good Samaritan Hospital in Suffern, police said. Newman didn't return a telephone call to his law office for comment Wednesday. Newman, a graduate of St. John's University law school in Queens, has been admitted to practicing law in New York since 1980. 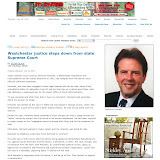 He's part of a Suffern law firm and is an attorney for local fire districts. His father also was a lawyer and judge. Though most Sloatsburg residents have little contact with the court, Newman is known through his tenure and family. John Kwasnicki, a longtime resident, said Newman has served the village well, though he doesn't know the details of the arrest. He said he's always seen "Mr. Newman in a sober state" but that the law should be carried out as it would be for any resident charged. "He's been a good judge here for a good number of years," Kwasnicki said. "From what I know, he runs a good court. He's always been a nice person." 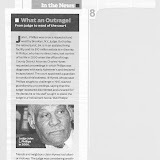 One incident in Newman's judicial career that stands out occurred in May 2007, when Leo Lewis fired a gun at a young woman suing him inside the Sloatsburg courtroom. Lewis missed the woman he was suing, and the bullet just missed Newman and became embedded in the plastered wall. Newman testified at Lewis' trial, which produced a guilty plea and a 25-year sentence for Lewis. That incident renewed the call for more security in courtrooms around Rockland County, leading Sloatsburg and other courts to get metal detectors and other equipment to check people before they entered the courtroom. Sloatsburg Trustee J. Mark Reimer said he has an "enormous amount of respect for Judge Newman" and hoped the public and judicial system would be as fair to him as he had been to the public as a judge. Reimer said there was no reason for people to call for the judge's resignation or any other draconian action. "I believe he's innocent until proven guilty. We will withhold judgment," Reimer said. "I hope everything will be OK with him and his family." Newman's arrest on the DWI charge will be reviewed and monitored by the state Commission on Judicial Conduct. Robert Tembeckjian, the commission's administrator and chief counsel, said the arrest would initiate an inquiry, but the commission would not take any action until after the case is disposed. 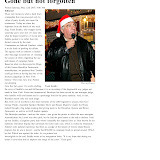 He said he couldn't talk specifically about Newman's case. He said he didn't know the details and that Newman could be exonerated, or plead to a lesser charge of driving while impaired , which is not uncommon with first-time offenders. Rockland District Attorney Thomas Zugibe said the case would be assessed by his office and prosecuted like any other DWI. Generally, Tembeckjian said, the national standards are that a judge, short of trying to influence the police, would be publicly admonished for a misdemeanor conviction. He said ethical rules don't require a judge to take a sobriety or blood-alcohol test, the same privilege others have. He said the judge also faces the same punishment — loss of license for a year after a hearing by an officer with the Department of Motor Vehicles. Tembeckjian also said judges don't have to disqualify themselves from hearing DWI or any other cases if jurists feel they can review the case fairly. "There have been judges in the past convicted of alcohol-related driving offenses who have taken themselves off DWI cases," he said. "Some have not. If the judge feels he or she can be impartial, there is no authority for the commission to act." SLOATSBURG - Police say a judge from the Village of Sloatsburg is under arrest for allegedly rear-ending another car while driving drunk. Ramapo cops say Thomas Newman, 56, was driving drunk on Route 17 last night at 7:30 p.m. when he hit another car, driven by 60-year-old Oscar Padilla, of Sloatsburg. Padilla says he called Ramapo police four times, and that it took an hour and a half for an officer to arrive on scene. Newman, as well as Padilla and his passenger, were not injured. The judge faces charges of driving while intoxicated, refusing to take a Breathalyzer test and following too close to a vehicle. Newman is scheduled to appear in Ramapo town court next week. ALBANY, N.Y. — New York Gov. Andrew Cuomo has signed a new law to strengthen ethics enforcement for government officials. The measure, which the governor proposed, establishes a new 14-member Joint Commission on Public Ethics to oversee and investigate compliance by lawmakers. It will also monitor executive branch and legislative employees and oversee registration and conduct of lobbyists. Six members will be chosen by the governor. Four will be selected by legislative leaders, with at least four from each major political party. Those functions have been handled by the Commission on Public Integrity, which will close, and the Legislative Ethics Commission, which will continue and have authority to impose penalties. The law requires legislators to disclose more about their private businesses and income and their law firm clients. With a new ethics bill signed yesterday by Governor Andrew M. Cuomo, New York became one of a handful of states requiring its lawyer-legislators to disclose the identity of their clients. Under the Public Integrity Reform Act, lawyers will be required to publicly reveal the identity of their own clients and clients they referred to the firm, when the client is doing business with, receiving grants from, seeking legislation from or is in litigation with the state. Additionally, every appearance by a lawyer-legislator before a state administrative agency will be recorded by the agency and made public. New York joins California, Washington, Alaska and Louisiana in requiring its lawyer-lawmakers to reveal clients. The disclosure requirement takes effect in mid-2013, covering matters occurring during the 2012 calendar year. It kicks in when the legal fee exceeds $10,000 and the state contract is worth more than $50,000 or the grant is worth more than $25,000. 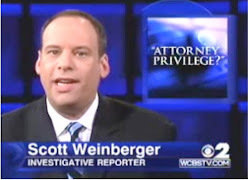 The law affects only new clients or new matters for existing clients and attorney-legislators will not have to identify clients who are being represented in connection with an investigation or prosecution, involved in a domestic relations matter or a bankruptcy or "where disclosure of a client's identity is likely to cause harm." Some advocates had urged a stricter client disclosure provision that would have required lawyer-legislators to disclose the identity of all their clients when the fee exceeds a certain threshold, rather than only clients doing business with the state. Others called for a bill that would have required lawmaking lawyers to reveal the identity of all clients involved in a matter with the state, regardless of the amount of the fee. "It is a patchwork, a compromise," said Stephen Gillers, an ethics expert at New York University School. "There are gaps. It sacrifices the most efficient path to disclosure, which was apparently unattainable, for alternatives that may or may not be as effective. Only time will tell." Russell Haven, an attorney and legislative director of the New York Public Interest Research Group, said lawyer-legislators looking for ways to skirt the new law will undoubtedly find "seams" that will need to be repaired later. Regardless, he said the measure is a major step forward. "Disclosure is really going to drive change in the Albany culture, and these disclosures will be very detailed and will send shock waves through the Legislature," Mr. Haven said. "Lobbyists will have to disclose business relationships with lawmakers. Lawmakers in consulting and law firms are going to have to disclose the relationships they have with clients having business before the state. It is a huge step forward in terms of information the public will get that tells a tale, to some extent, of how Albany operates." 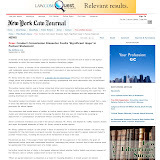 The New York State Bar Association and the New York City Bar applauded the bill. "We feel strongly that increasing public disclosure will go a long way toward restoring public confidence in government," said State Bar President Vincent E. Doyle. "We are ahead of the curve. Lawyers are of course subject to their own ethics rules and I don't think this creates new ethics obligations on the part of attorneys, although there are some additional obligations for attorneys." The state bar had urged provisions that would allow attorney-legislators to withhold the names of clients when appropriate, for example, when a client is in the early stages of a matrimonial matter and does not want a spouse to know a lawyer has been consulted. The final bill provides that protection. 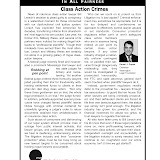 City bar spokesman Eric Freedman said that while that organization "would have preferred that the disclosure not have been limited to client matters directly with the State, but rather include clients for whom the legislator is handling a matter above a minimum fee threshold," it fully supports the signed bill. The city bar will be monitoring the effectiveness of the legislation and looks forward to working with the Legislature and governor on implementation and future reforms, Mr. Freedman said. Over the past six years, at least 13 New York state legislators have been forced from office for criminal or ethical lapses, according to a report earlier this year from the Citizens Union of New York City. Three of them were lawyers. However, their misconduct did not involve their outside practice of law. 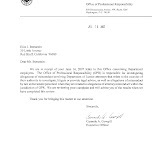 Greater Financial Disclosure: Financial disclosure statements filed with the new Joint Commission on Public Ethics from elected officials will now be posted on the internet and the practice of redacting the monetary values and amounts reported by the filer will be ended. The Act also includes greater and more precise disclosure of financial information by expanding the categories of value used by reporting individuals to disclose the dollar amounts in their financial disclosure statements. 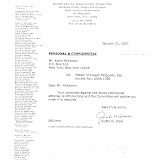 The Act requires disclosure of the reporting individual’s and his or her firm’s certain outside clients and customers doing business with, receiving grants or contracts from, seeking legislation or resolutions from, or involved in cases or proceedings before the State as well as certain of such clients that were brought to the firm by the public official. A New Joint Commission on Public Ethics: The Joint Commission on Public Ethics will replace the existing Commission on Public Integrity with jurisdiction over all elected state officials and their employees, both executive and legislative, as well as lobbyists. Suffolk County attorney Stephen J. Caputo was disbarred by an appellate panel last week for participating in a scheme to defraud mortgage lenders out of millions of dollars. 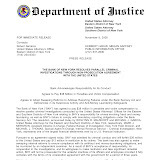 Mr. Caputo, of East Setauket, who was admitted to the bar in 1984, pleaded guilty in the Southern District federal court to one count of bank fraud and five counts of wire fraud, both felonies, on Jan. 4, 2010. New York's Judiciary Law requires the automatic disbarment of an attorney convicted of a felony. 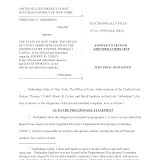 A unanimous five-member panel of the Appellate Division, Second Department, found in Matter of Caputo, 2011 NY Slip Op 06262, that the federal crime of wire fraud was "essentially similar" to grand larceny in the second degree and scheme to defraud in the first degree. Cite as: Matter of Caputo, D32099, NYLJ , at *1 (App. Div. 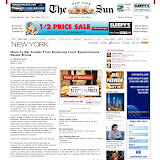 2nd, Decided August 18, 2011) - Before: Prudenti, P.J., Mastro, Rivera, Skelos and Dickerson, JJ. - Decided: August 18, 2011 - Robert A. 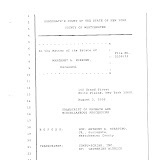 Green, Hauppauge, N.Y. (Elizabeth A. Grabowski of counsel), for petitioner. 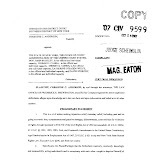 Motion by the Grievance Committee for the Tenth Judicial District to strike the respondent's name from the roll of attorneys and counselors-at-law, pursuant to Judiciary Law §90(4), upon his conviction of a felony. 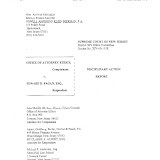 By decision and order on motion dated July 21, 2010, this Court immediately suspended the respondent from the practice of law pursuant to Judiciary Law § 90(4)(f), continuing until the further order of this Court, as a result the respondent's conviction of a serious crime. 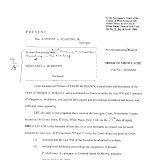 The respondent was admitted to the Bar at a term of the Appellate Division of the Supreme Court in the Second Judicial Department on September 1, 1984, under the name Stephen J. Caputo. PER CURIAM. 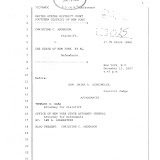 On January 4, 2010, in the United States District Court for the Southern District of New York (Gorenstein, J. 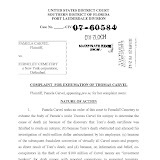 ), the respondent pleaded guilty to one count of conspiracy to commit bank fraud, a felony in violation of 18 USC §§ 1343 and 1344, and five counts of wire fraud, a felony in violation of 18 USC §1343. The respondent was indicted for his role in a multi-million dollar mortgage fraud scheme. He has not yet been sentenced. As stated by the Court of Appeals in Matter of Margiotta (60 NY2d 147, 150): "The Judiciary Law provides for automatic disbarment when an attorney is convicted of a felony. 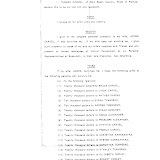 Under this section, an offense committed in any other State, district or territory of the United States where it is classified as a felony is determined to be a felony when it 'would constitute a felony in this state.' 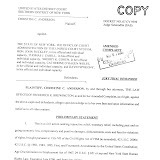 (Judiciary Law §90, subd 4, par e.) For purposes of this determination, the felony in the other jurisdiction need not be a mirror image of the New York felony, precisely corresponding in every detail, but it must have essential similarity." 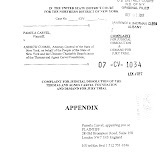 The federal felony of fraud by wire in violation of 18 USC §1343 has been held to be essentially similar to the New York felonies of grand larceny in the second degree under Penal Law §155.40 and scheme to defraud in the first degree under Penal Law §190.65 (see Matter of Thies, 42 AD3d 37; Matter of Fazio, 35 AD3d 33, 34; Matter of Ashley, 263 AD2d 70, 71; see also Matter of Lorenzo, 276 AD2d 223). By virtue of his felony conviction, the respondent was automatically disbarred and ceased to be an attorney pursuant to Judiciary Law §90(4)(a). The respondent has taken no position with respect to the motion of the Grievance Committee for the Tenth Judicial District. 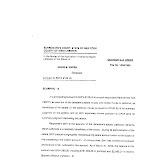 Accordingly, the motion to strike the respondent's name from the roll of attorneys, pursuant to Judiciary Law § 90(4)(b), is granted to reflect the respondent's disbarment as of January 4, 2010. PRUDENTI, P.J., MASTRO, RIVERA, SKELOS and DICKERSON, JJ., concur. 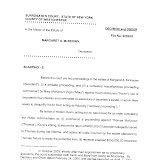 ORDERED that the Grievance Committee's motion is granted; ORDERED that pursuant to Judiciary Law §90, the respondent, Stephen J. Caputo, is disbarred, effective January 4, 2010, and his name is stricken from the roll of attorneys and counselors-at-law; and it is further, ORDERED that the respondent, Stephen J. Caputo, shall continue to comply with this Court's rules governing the conduct of disbarred, suspended, and resigned attorneys (see 22 NYCRR 691.10); and it is further, ORDERED that pursuant to Judiciary Law §90, the respondent, Stephen J. Caputo, is commanded to continue to desist and refrain from (l) practicing law in any form, either as principal or as agent, clerk, or employee of another, (2) appearing as an attorney or counselor-at-law before any court, Judge, Justice, board, commission, or other public authority, (3) giving to another an opinion as to the law or its application or any advice in relation thereto, and (4) holding himself out in any way as an attorney and counselor-at-law; and it is further, ORDERED that if the respondent, Stephen J. Caputo, has been issued a secure pass by the Office of Court Administration, it shall be returned forthwith to the issuing agency and the respondent shall certify to the same in his affidavit of compliance pursuant to 22 NYCRR 691.10(f). Former Luzerne County Judge Mark Ciavarella Jr. was ordered Thursday to spend 28 years in prison for a bribery scandal that prompted the state’s high court to overturn thousands of juvenile convictions. Mr. Ciavarella was convicted of taking a $1 million bribe from the builder of a pair of juvenile detention centers in a case that became known as “kids for cash.” In the wake of the scandal, the Pennsylvania Supreme Court overturned about 4,000 convictions issued by the judge, saying he violated the constitutional rights of the juveniles. Al Flora, his lawyer, called the sentence harsher than expected. Federal prosecutors accused Mr. Ciavarella and a second judge, Michael Conahan, of taking more than $2 million in bribes from Robert Mericle, the builder of the PA Child Care and Western PA Child Care detention centers, and of extorting hundreds of thousands of dollars from Robert Powell, the facilities’ co-owner. Mr. Ciavarella took the cash while filling the beds of the private lockups with children as young as 10, many of them first-time offenders. Mr. Conahan pleaded guilty and awaits sentencing. Two members of the commission reviewing judicial pay in New York State pressed for substantial raises at a public session on Monday, but the seven-member panel has not yet made a decision. The commission is being carefully watched in a time of budget austerity, because it was clearly formed to raise judicial salaries while trying to minimize political fallout from what could be an unpopular decision. Its members, appointed by leaders of all three branches of state government, are expected to make their decision later this month. The presentations by the two members, Robert B. Fiske Jr. and Mark S. Mulholland, appeared to be the opening of negotiations that will unfold in the coming weeks. Both had earlier made it clear that they favored a raise for the more than 1,200 state judges, who have not had a pay increase since 1999. “It’s just a question of basic fairness,” said Mr. Fiske, a lawyer who was once the United States attorney in Manhattan. Mr. Fiske proposed that pay for justices on the state’s highest-level trial court, the State Supreme Court, be increased to $195,754 from $136,700. Mr. Mulholland suggested that the salary be increased to $220,000. Some pay-increase proposals have suggested that the salary of State Supreme Court justices increase to at least $174,000, the salary of federal district judges. But the commission has also heard from critics who have argued that no increase is warranted. Most other members of the commission gave few clues about their positions during the brief meeting, which was held in a hearing room in Lower Manhattan. The three members appointed by Gov. Andrew M. Cuomo have not indicated whether they were influenced by the state budget director, Robert L. Megna, who told them at a hearing last month that the commission should exercise caution in granting judicial raises because of the state’s fragile finances. If the governor’s three appointees work to limit judicial raises, they are likely to meet opposition from three others: Mr. Mulholland, who was appointed by the Senate Republican leader, Dean G. Skelos, and who has been the most vocal member calling for a significant judicial pay increase; and the two appointees by the state’s chief judge, Jonathan Lippman: Mr. Fiske and Kathryn S. Wylde, the president of the Partnership for New York City, a network of business leaders. That would leave the commission’s seventh member, James Tallon Jr., a former member of the Assembly who was Democratic majority leader, with a pivotal vote. Mr. Tallon, appointed by the Assembly speaker, Sheldon Silver, a Democrat, has not hinted at his views. In an interview after the meeting, Mr. Tallon declined to discuss his position. “I don’t intend to get into a public bidding on this one,” he said, adding that Mr. Silver had given him no instructions. A raise for the state’s judges would increase the pay of trial and appeals judges and the members of the state’s top court, the Court of Appeals. During the meeting, Mr. Cuomo’s appointees, including the chairman, William C. Thompson Jr., a former New York City comptroller, did not react to the proposals for a big judicial pay increase. One of the governor’s appointees, Richard B. Cotton, suggested in passing that he may be skeptical of testimony from the state budget director implying that it would be inappropriate to pay judges more than some high-level state employees. “We’re dealing with a co-equal branch” of government, Mr. Cotton said. Daniel Turbow, a Family Court judge in Brooklyn who is president of the city Family Court Judges’ Association, said after attending the meeting that he had been pleased by the remarks of some of the members. “I have to think it’s encouraging,” Judge Turbow said. Robert Simels failed to persuade a federal appeals court to overturn his convictions for conspiracy, attempted obstruction of justice and bribery, thus ensuring that the criminal defense attorney will serve a 14-year prison term for conspiring to intimidate and corrupt witnesses against his drug smuggling client. The U.S. Court of Appeals for the Second Circuit on Friday upheld 10 of 12 felony convictions secured in 2009 by Eastern District prosecutors who proved that Mr. Simels tried to prevent potential witnesses from testifying against his client, Guyanese drug smuggler Shaheed "Roger" Khan. Single counts of importation of electronic surveillance equipment and possession of electronic surveillance equipment were vacated by Judges Jon O. Newman, Guido Calabresi and Peter W. Hall, who heard oral arguments in United States v. Simels, 09-5117-cr, on April 29. Mr. Khan was arrested in Suriname in 2006 and brought to the United States for trial as the accused leader of a criminal enterprise importing large amounts of cocaine. He hired the brash Mr. Simels for a retainer of $1.4 million, but ultimately pleaded guilty in the drug conspiracy. Prosecutors went after Mr. Simels using a cooperating witness and Drug Enforcement Administration informant, Selwyn Vaughn. 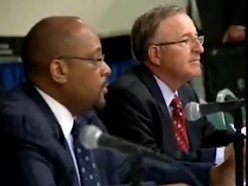 At trial, the government presented five recorded conversations between Mr. Vaughn and Mr. Simels in the attorney's office between May and September 2008. In the conversations, Mr. Simels was heard proposing to bribe and threaten potential witnesses against Mr. Khan. The government also produced incriminating conversations between Mr. Simels and Mr. Khan in the attorney visiting room at the Metropolitan Correctional Center. Mr. Simels, who testified at his 10-day trial, was convicted on one count of conspiracy to obstruct justice, eight counts of attempted obstruction of justice, a single count of bribery and the two surveillance equipment counts before Eastern District Judge John Gleeson (NYLJ, Aug. 21, 2009). He was acquitted of a single count of making a false statement at a prison. An associate of Mr. Simels, Arienne Irving, also was convicted of six felonies, but those convictions were later thrown out by Judge Gleeson, who found Ms. Irving was not present for interactions between Mr. Simels and Mr. Vaughn. 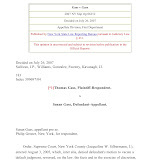 Last year, the Eastern District U.S. Attorney's Office announced without explanation that it was withdrawing its appeal of Judge Gleeson's ruling (NYLJ, Sept. 28, 2010). 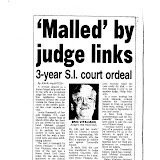 On appeal, Mr. Simels argued that the government invaded his attorney-client relationship with Mr. Khan, that evidence on five counts was insufficient, and that several of Judge Gleeson's rulings deprived him of a fair trial, including his decision allowing a suppressed recorded conversation between Mr. Simels and Mr. Khan that the judge allowed as impeachment evidence against Mr. Simels. But he prevailed only on the electronic surveillance equipment counts, 18 U.S.C. §2512(1)(a) and (b), which concerned a "base" that allegedly could be used to surreptitiously intercept radio signals between phones and cell towers as well as two laptop computers. The laptops, Mr. Simels testified, were given to Mr. Khan by Guyanese government officials to store intercepted conversations, and one of them contained a conversation involving David Clarke, a potential witness against Mr. Khan. 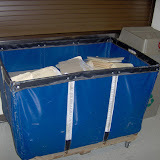 Writing for the Second Circuit, Judge Newman said the evidence showed the equipment was inoperable. With respect to electronic devices, he said, "Congress covered only those 'which can be used' to intercept communications and added, as a mens rea requirement, that the device be known to have been designed for the purpose of surreptitious interception." The ruling was of little help to Mr. Simels, however, because Judge Gleeson had sentenced him on the surveillance equipment counts to time served and no supervised release, making it unnecessary for the court to resentence him. Mr. Simels' Sixth Amendment claim drew the concern of the Second Circuit, but not enough to make a difference. "The use of the government informant to meet with a defense lawyer and discuss the defense of a pending criminal case against the lawyer's client potentially raises serious issues concerning the Sixth Amendment rights of the lawyer's client and other issues arising from intrusion into the attorney-client relationship," Judge Newman said. Judge Gleeson had suppressed the tape-recorded conversations between Mr. Simels and Mr. Khan at the detention center even though prosecutors had obtained court approval to use a special minimization procedure— or "fire wall"—to separate agents investigating the Simels obstruction offenses from those prosecutors and agents pursuing the criminal case against Mr. Khan. 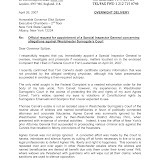 Judge Gleeson said that, despite the erection of a fire wall and the establishment of a "taint team" to ensure that evidence against Mr. Simels did notcompromise the rights of Mr. Kahn or his case, the terms of the special minimization procedure "called for the interception of all communications." An "agent cannot minimize the interception of communications that should not be intercepted by intercepting all communications and sorting them out later," Judge Gleeson said. Despite the suppression of the detention center tapes, Judge Gleeson allowed them to be used against Mr. Simels once he took the witness stand, a ruling endorsed by the Second Circuit yesterday. "All of the circuits that have considered the issue have held that unlawfully obtained wiretap evidence may be used by the prosecution for impeachment in a criminal case," Judge Newman said. In his appeal, Mr. Simels did not argue that the fire wall had been breached. Instead, he argued the Vaughn testimony and recorded conversations should have been suppressed, including one conversation where Mr. Vaughn discussed witnesses, saying, "We either try to buy them or we gotta drive fear in them," and Mr. Simels responds, "I agree with you." Mr. Simels said the reason the Vaughn testimony and conversations should have been kept out of evidence was that the government had "deliberately" directed an informant "to pose as part of the defense and the invasion prejudices the defendant." Judge Newman said that the possibility that a defense attorney attempted to obstruct justice presented the government with a "sensitive choice" between intruding on the attorney-client relationship—and in so doing, wrecking its case against the defendant—and risking "serious harm to witnesses." Here, however, he said the government had a "substantial basis" to determine whether Mr. Simels was attempting to obstruct justice, in part because he visited the potential government witness, Mr. Clarke, in prison, claiming he was Mr. Clarke's lawyer. "Simels discounts the significance of his false statement to prison authorities because, he contends, he was not required to be counsel for Clarke in order to visit him," Judge Newman said. "Nevertheless, the fact remains that he lied about his role as Clarke's attorney, and, at least in the context of assessing the government's basis for investigating an attorney, a lie to criminal justice officials does not lose its capacity to arouse suspicion just because the lie might have been unnecessary." Moreover, Judge Newman said, "there is no claim that privileged information was passed to the government or that prejudice to Khan's defense resulted from Vaughn's contacts with Simels, circumstances we have indicated would establish a Sixth Amendment violation." Mr. Simels, a 1974 graduate of New York Law School, began his career as a special assistant attorney general investigating public corruption. He eventually became one of New York's more prominent defense attorneys, representing such clients as Henry Hill, the gangster made famous by the film "Goodfellas"; drug-trafficker Kenneth "Supreme" McGriff; and former New York Jet Mark Gastineau. Mr. Simels was represented at trial by Gerald Shargel, and on appeal by Barry Bohrer of Morvillo, Abramowitz, Grand, Iason, Anello & Bohrer, along with Elkan Abramowitz and James R. Stovall of that firm. Handling the prosecution's case at trial were Eastern District Assistant U.S. Attorneys Steven D'Alessandro and Morris Fodeman, now in private practice, and Daniel Brownell. Mr. Brownell also handled the appeal. Mark Hamblett can be contacted at mhamblett@alm.com.